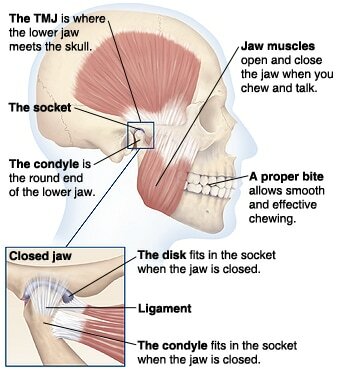 The TMJ or temporomandibular joint is the formal anatomical name given to the jaw joint, where the mandible bone (which forms the lower jaw) meets the skull (at the temporal bone). There are a number of muscles which attach to and surround this joint and which are involved in mastication (i.e. chewing) as well as other facial movements involving the jaw. Excessive chronic tension in the muscles connected with and surrounding the TMJ can cause not only local pain perception in the area of the jaw itself, but can also set-up pain referral patterns (through trigger points) causing regular experiences of headaches, migraines, involuntary teeth grinding (bruxism), gum or tooth related pain and even tiniuts (ringing in the ears). Muscular tension or shortening in the muscle fibres resulting in restricted range of movement of the jaw joint can also cause pain and even a limited opening movement of the mouth itself (e.g. trismus). Differences in the tensioning of the muscles on opposite sides of the face / jaw can cause uneven bite or malocclusion scenarios.Physical trauma such as those caused by whiplash or other sudden violent impact to the skull or neck area can set-up chronic "holding" tension which then becomes "locked" into the muscles of the skull, jaw or neck as the body freezes itself up in that split second reaction of self defensive protection. This tensioned holding scenario in muscles and related soft tissues (in any area of the body) is seen so commonly after many traumatic or sudden impact related situations (including high exertion force tooth extractions as well as many other invasive dental procedures). ​What is not always commonly understood is that an effective and permanent unlocking of this tension will still not be permitted by the body itself long (week, months or years) after the perceived danger event has passed until it is satisfactorily notified that the threat has passed, and so in clinical massage therapy it is the goal to gradually introduce this notification of safety to the body to begin the process of gently unlocking itself; the muscles and soft tissues affected will be engaged in this process through safe, gentle, specific and highly focused manipulation and release work. Apart from the physical conditions described above, unrelenting stress and emotional upset experienced by a person is another way in which muscles of the TMJ can become dysfunctional or become locked into a chronic pain pattern. In fact, the emotional element is perhaps the most common underlying cause of TMJ dysfunction and pain, simply because there is an actual physical neurological connection between the sensory (as well as the motor) nerves within the TMJ itself which in turn interfaces with the brain and spinal chord via a branch of the Trigeminal nerve. The feedback loop within this neurological pathway means that emotional stress can cause the muscles of the TMJ to clench or tighten up (quite a lot of people will unconsciously clench or even grind their teeth as a response to coping with or being faced with stress); likewise tightening up or clenching of the muscles in this area causes an increased perceptual registering of emotional stress to be generated in (the primitive reptilian part of) the brain and nervous system. So, as you can see that one feeds back into the other causing a potentially vicious cycle, until something comes along which can interrupt this cycle! Physical exercises which help to stretch and relax the soft tissues of the TMJ are a vital consideration as well as whole body and mind relaxation practices or activities in order to lower emotional stress and decrease sympathetic nervous system tone (and therefore increase the parasympathetic nervous system response). As well as the perception of stress levels in our daily lives, history of invasive dental work and the related impact of other physical or emotional trauma, the type of food which makes up our diet can also have an effect. The more prolonged and harder we have to chew our food, the higher the chances of the TMJ muscles becoming chronically tense. Of course, as with any other set of muscles in the body, there are many effective preventative self care exercises and things that one can do in order to look after our TMJs and ease pain, preferable before it becomes chronic. This entire article was prompted by some recent sessions I'd performed with a client to help them out with TMJ related pain including subconscious teeth grinding at night, regular headaches around the perimeter of the ears and down the side of the neck, malaligned bite and a very limited ability to open the mouth - so limited that opening the mouth to take a bit from a sandwich was virtually impossible such was the pain as well as just the physical restriction in range of movement of the jaw before we got to work. Conventional MRI scans had not been able to shed any light on what was going for this client, yet we managed to produce a significant shift in jaw movement with decrease in pain from session 1 as well as reduction in teeth grinding at night, all to a degree which had not been experienced with conventional other treatments elsewhere. Improvements continued in session 2 and session 3 will be next week (at the time of writing this article). Will aim to update with progress on this blog as we progress. The protocols and techniques I use aim to produce effective and permanent shifts on a 4 to 6 session basis when performed on a weekly session basis - provided that the client also diligently follows the additional selfcare advice at home as well as attending the weekly regular sessions. It has been reported by one particular source that 90% of musculoskeletal issues have an element of TMJ involvement to it, yet TMJ dysfunction isn't necessarily the root cause (no pun intended). "As a above, so below" provides us with a useful perspective from which we could spring board off of in order to begin looking at the picture of the body in an alternative and more holistic relationship, so according the Lovett Brothers Principle each vertebrae bone in the spine has is intimately related to a matching counterpart at the opposite end, thus the bones of the jaw, skull and neck have counterparts which they are affected by (and visa-versa) in the lumbar (lower back) and sacral areas of the pelvis. TMD or TMJD (temporomandibular joint dysfunction) as it is sometimes referred to as is certainly a very big topic, I hope I've managed to cover as many of the salient issues as possible here, but there is still so much more that I could say that hasn't been raised in this particular article, so I would very much welcome your feedback, comments, questions and suggestions for amendments, additions and further articles on this topic. ARE "TRIGGER POINTS" THE CAUSE OF YOUR UNRESOLVED SOFT TISSUE PAIN ISSUES? ​Almost immediately after I had completed my initial basic training in massage, I happened to come across across a series courses for already qualified therapists such as myself, the courses were modular and taught remedial soft tissue techniques and skills to profoundly affect soft tissue pain conditions for the better in clients. This new information opened up a whole new range of clients for me whom I’d never have thought of working with before and changed the course of my practice. Trigger point therapy along with myofascial release are the joint top 2 remedial techniques that appear to have the most profound affect on clients I have worked with, especially ones who have been around the houses already to see conventional health professionals and other alternative therapists without much of a result. Trigger points are basically a single point of very tight knots in the fibres and fascia (connective tissue) of a muscle which causes referred pain to be felt as a result, these knots can vary in size from a pea to a grain of sand. 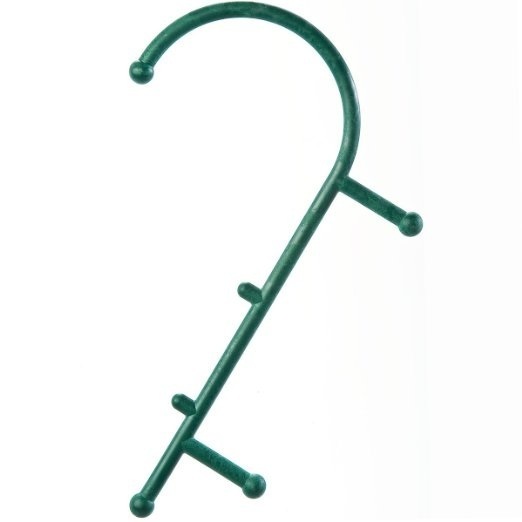 An appropriately experienced remedial therapist will normally be able to detect these knots through palpation or touch alone, but often will also require verbal feedback from the client in order to confirm whether a sore spot is being pressed upon. 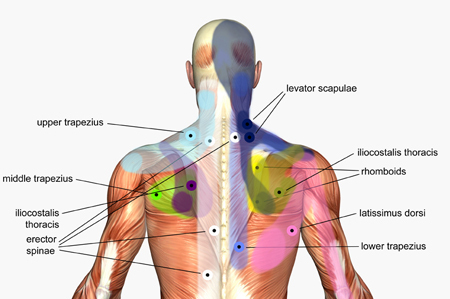 Trigger points can be caused by repetitive overuse, over strain, stress, injury, accident or trauma. These knots impede the flow of fresh blood to the area where the knots are, this constriction also means that metabolic waste and toxins which are normally flushed away back into the circulatory system cannot escape so there ends up being a build up in this confined area which is what causes the pain. 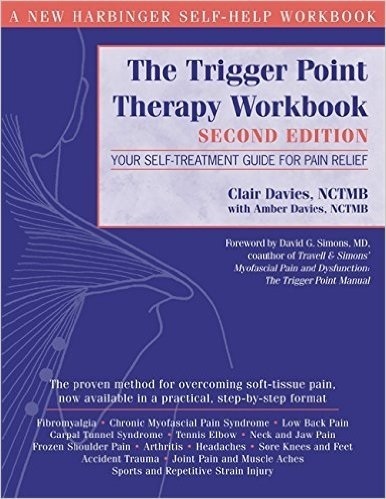 Trigger points may need to have pressure applied to them in order for the pain pattern to become activated or the trigger point may be in such a state that it is always actively causing the pain regardless. The muscle knots that form a trigger point site do not tend to respond to standard kneading type massage movements, they require precisely aimed static pressure, pressure which shouldn’t be too hard either as this will just make the muscle go into further contracture and hardening. I usually apply up to 12 seconds of constant static pressure on a trigger point, within that time frame the client should be experiencing levels of pain no greater than a 7 out of 10 (and much less is fine), before that time is up I would expect the client to perceive a change in the quality of pain, either getting less or changing say from a sharp pain to dull ache and this would be a sign for me to cease pressing. I could also choose to follow the movement of the tissues as they begin to ease and release, so combining a myofascial release technique (more on myofasical release in an upcoming article). The most distinctive attribute of most trigger points is their ability to refer pain, so that pain appears to be experienced at a remote and apparently unrelated location to that of where the trigger point actually physically is. Not only are most trigger points able to set-up pain referral conditions, but all these pain referral patterns have been proved by research to be consistently reproducible and predictable. 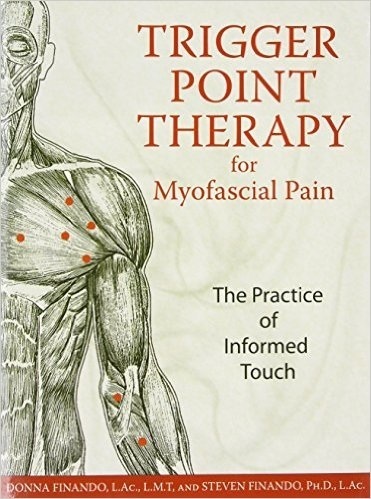 Books and charts have therefore been produced showing typical trigger point locations on a diagram of a muscle along with the expected pain referral pattern(s). There has been plenty of scientific and medical research conducted into the efficacy of trigger points, but despite this it is still not part of any of the qualifying training that a conventional medical doctor would go through, so therefore most would be ignorant of this phenomenon. Dr Janet Travell who was also president John F Kennedy’s personal physician, was one of the main pioneering figures behind research into the theory and practical implications of trigger points. Reoccurring headaches where the pain is usually felt in the same predictable areas on the skull every time are usually caused by trigger points in the muscles either side on the side of the neck. Sciatica and the characteristic shooting pains down the back of leg is often caused by trigger points in the gluteal region muscles and the resulting nerve entrapment that occurs of the sciatic nerve (usually the piriformis muscle deep in the mid region of the buttocks). Can also cause lower back pain issues. Shin splints are usually usually caused by trigger points in the (tibalis anterior) muscle on the outside front part of the lower leg just a few inches below the knee. Tingling or numbness sensations in the fingers often accompanied by RSI (repetitive strain injury), carpel tunnel or thoracic outlet syndrome type symptoms are usually caused by nerve fibres (of the brachial nerve plexus) being entrapped by tight muscles containing trigger points, namely the muscles at the base of the neck (scalenes) and the muscles in the chest area either side on the front of the rib cage just a bit below the collar bone (pectoralis minor). FREE Fact Sheet: 5 Essential Exercises For Office Workers and Computer Users To Keep Pain and Stiffness Away Whilst Confined To A Desk For Long Periods. To be notified when new articles are published, and for more free health and wellness tips please subscribe to our email newsletter. You can un-subscribe at any time. Welcome to The Blog! We will be adding more articles on a regular basis. Please feel free to leave comments or provide feedback through the contact us form on the contact page.